Would an enlightened yoga enthusiast share an experience of chakra awakening with me? Home/YOGA TEACHER FAQs/Would an enlightened yoga enthusiast share an experience of chakra awakening with me? Chakra awakening is highly a debatable topic with two distinctly different schools of thought. The answer could be yes or no depending upon which school of thought you are trained in. Firstly, let’s cover the side that would say yes to helping you share the experience of Chakra awakening. 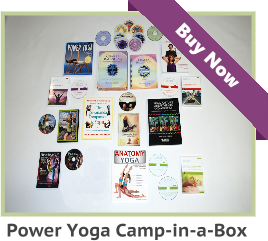 There is no shortage of detailed information, made available by enlightened Yoga enthusiasts like Anodea Judith. Anodea Judith has made a Chakra balancing kit available, which gives a tour of the seven main Chakra system, detailed exercises, meditations, a workbook, and a beginning to the path of Chakra awakening. She also has more books available, confers with other enlightened Yoga enthusiasts, and teaches workshops on this very subject. 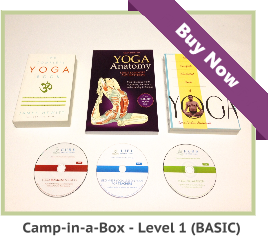 There are many other books and CD’s on this subject by a variety of knowledgeable authors and enlightened Yoga practitioners. All of this information is easy for the public to “get their hands on.” So, here is a school of thought that believes this information should be shared and has gone out of it’s way to mass produce this information. On the other hand, some Yoga teachers do not want the negative and positive qualities within each Chakra to be casually explored by students without a competent Yoga teacher present. This is with the student’s safety in mind. Furthermore, the amount of previous Yoga experience a student has is a factor in being able to control emotions like fear, lust, anger, and depression, that can come boiling to the surface as a result of a Chakra awakening. When, or if, a student is ready for Chakra awakening should be determined by the teacher and this is not for every student. Some students put pressure on themselves, which may lead to anxiety, causing negative qualities of the Chakras to surface during an awakening. In summary: One of the results of steady Yoga training, is that we can get a better handle on our emotions than most. We also realize that we are not enlightened or perfect all the time. If you want to experience Chakra awakening with an enlightened Yoga enthusiast, you should seek out a competent Yoga teacher, who is willing to help you. You could also get similar guidance from a Reiki teacher or Reiki master. Reiki teachers are very familiar with the Chakra system and very helpful. 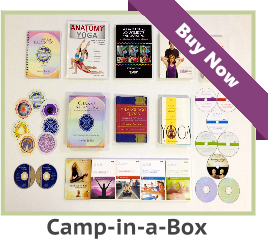 If this is not possible, and you have been regularly practicing Yoga for at least two years, the Chakra balancing kit, I mentioned above, gives you step-by-step guidance toward awakening the Chakras. Lastly, this is not a race and please don’t put pressure on yourself toward self perfection. Paul2017-04-26T15:30:52+00:00Categories: YOGA TEACHER FAQs|Comments Off on Would an enlightened yoga enthusiast share an experience of chakra awakening with me?